this is another tag, i know i did one quite recently but i actually really enjoy doing them and reading them! i was tagged by the gorgeous lauren from thebeaubow, you can check out her post here and i recommend you checking out her blog. cleansing. it is really bad because i actually do get breakouts and i should cleanse properly and get a proper skincare sorted out, but i get a prescribed spot treatment which can be a bit harsh and drying so i find it hard to find a good cleanser that doesn't make my skin any drier, and doesn't irritate it and break me out! fairly regularly.. i should probably do it more than i do now but most of the time i forget and i hate waiting for them to dry! a fair while, my nails have been chipped since yesterday and i haven't taken it off yet haha! but sometimes i find myself subconsciously picking it off when i get bored. i have a few different make up products that i can use if i really need to so if i run out of something, like a mascara, and i have one that isn't my favourite i will still use it until i begin to get fed up of it! i hate washing my hair so i always end up putting off washing my hair, it is just such a chore for me. if i didn't own dry shampoo i would literally die (ok, not literally). also, my nails are really bad and the nails aren't very strong and they aren't a great shape and they kind of peel at the top, ew haha. homework for sure, and washing up haha. also tidying my room. most of the time i leave enough time for me to go ready, but if my skin is playing up then i end up taking all my make up off and restarting which is annoying and most of the time results in me being quite late haha. maybe.. ive never tried. i think it would be good for me though ahah. not very organised.. i have a drawer for my make up and when i'm in a rush i always have to root through it and mess it up! when it is tidy, i love it ahh. i am fairly new to the blogging world, and when i first started i didn't do posts very often. i did them either once or twice a week, now i try to post once every 2 days if i have enough time! So that is the end of this tag! i tag all of you and would love if you could do this! Thanks for reading! See you in my next post. 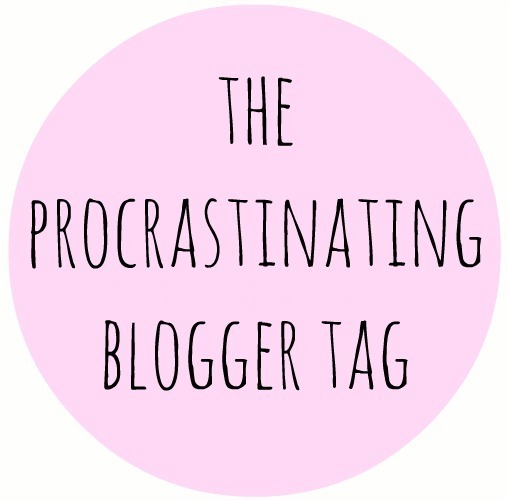 9 comments on "the procrastinating beauty blogger tag"
GREAT post! i'd love to do the tag!